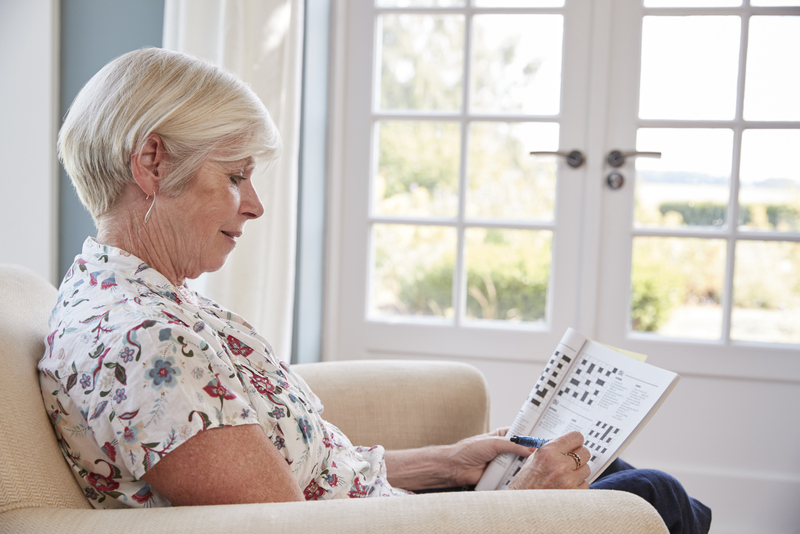 As seniors age, the emphasis placed on stimulating their brains, or engaging in “memory health,” becomes increasingly important. However, the most effective activities for exercising an aging brain are activities that benefit us at all ages. Grace LeRoux, RN, Nurse Manager at Bethesda Meadow, a skilled nursing home community in Ellisville, MO, works with dementia residents. She has advanced training in dementia care and years of experience in memory support services. She stresses that the emphasis is on helping residents maintain independence and individuality with activities that bring them joy and give them a purpose. Regardless of your age, activities that benefit heart health also benefit memory health. Eating foods like fruits, vegetables, whole grains, and fish can provide great benefits. Cholesterol damages arteries that carry blood and oxygen to the brain and studies have shown that people who eat more saturated fats and trans fat perform worse on tests of thinking and memory than people who consume lesser amounts. Exercise is also key to promoting to memory health. According to the Mayo Clinic, studies show that people who are physically active are less likely to experience a decline in their mental function, and have a lower risk of developing Alzheimer’s disease. Bethesda offers a variety of health and wellness programs for residents at our Independent Retirement Living, Assisted Living, and Skilled Nursing Communities. Activities range from exercise classes, planned outings, and more. However, the brain needs more than nutritious food and exercise to promote memory health. According to Grace, it needs meaning. She recalls a Bethesda resident who was very withdrawn and depressed. “Her depression accelerated her memory loss beyond what we expected for her stage of dementia,” Grace says. Around the same time, the community adopted a dog, and the woman was put in charge of the pet’s care. “The responsibility of caring for the dog tapped something within her,” Grace says. The woman dramatically improved, and her family credited the care of the dog with adding years to her life. People of all ages are creative beings. Whether it is painting, making pottery, baking, or working in a garden, humans thrive when they accomplish tasks and follow their interests. Reviewing and discussing old photos keeps the brain active. Singing or listening to familiar songs can jog memories of pleasant moments. Trivia questions related to the time when seniors were young are also effective at exercising recall. What About Supplements, Apps, and Brain Games? When many people think of memory health, they think of brain supplements, phone apps, and brain games to “exercise” the brain. Additionally, a concept called “brain gyms” tout the ability to improve memory and cognitive function. According to Grace, these kinds of supplements are not FDA-approved. Also, while mobile apps can be helpful, they lack the opportunities for socialization that are so important for seniors. Grace advocates more effective ways to slow memory loss. Bethesda is dedicated to providing the best level of care for seniors experiencing memory loss. To learn more, contact Bethesda Meadow or schedule a tour at one of our St. Louis Nursing Homes, Skilled Nursing facilities, or Assisted Living communities.